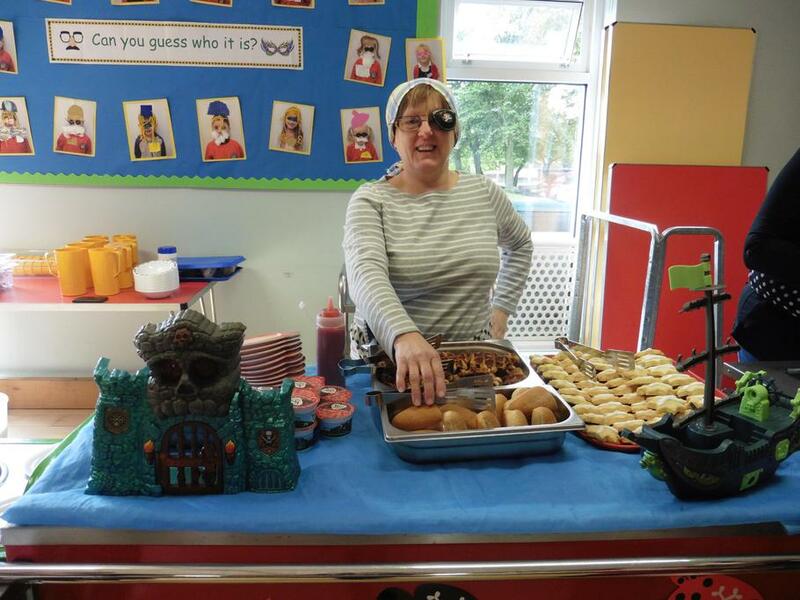 In honour of International Talk Like a Pirate Day, Mrs Feely and her team in the kitchen made a wonderful pirate-themed lunch. 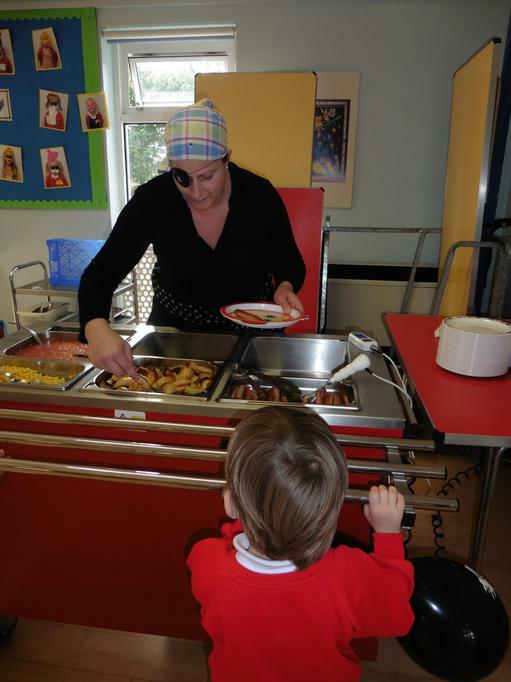 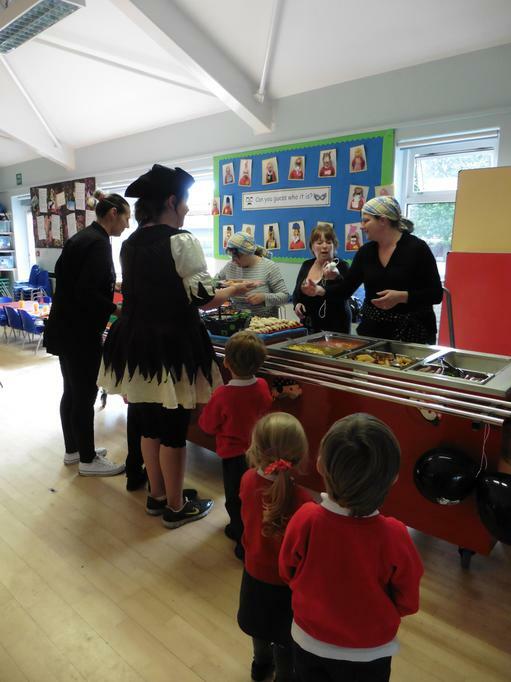 The children enjoyed Me Hearty hotdogs, Captain Jack's Potato wedges, Pieces of Eight sweetcorn, and Blackbeard's beans all followed by Jolly Roger waffles and berries, and served by our very own motley crew. 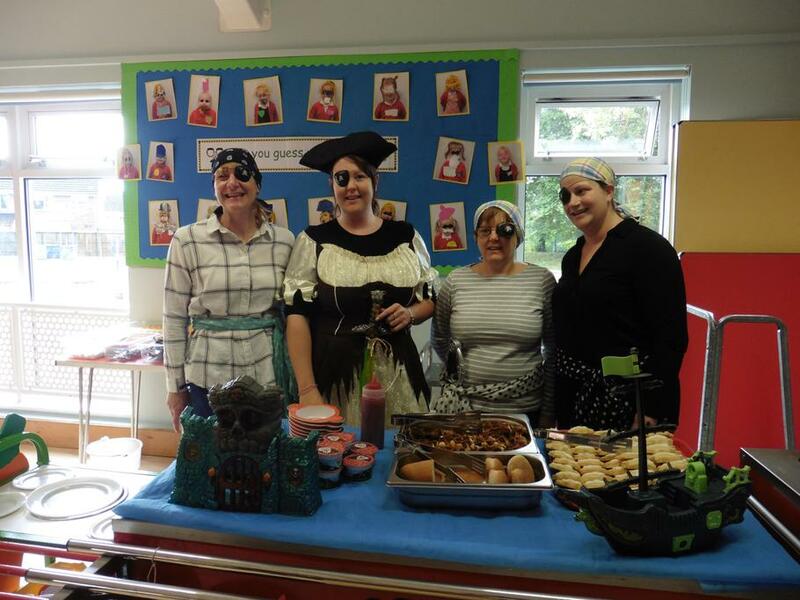 Hilltop Ahoy!